The top five fastest-growing major economies in 2015 will be all emerging market economies in the Asia Pacific region, with India standing out as the top performer globally. Policy reforms and low oil prices will bolster India’s growth outlook, but the effect of GDP rebasing on India’s forecast growth is still far from being clear. On the whole, across emerging and developing Asia, low international prices for oil and other key commodities are supporting growth, but a sharp price reversal could undermine the outlook and hurt companies and consumers. Further downside risks to the outlook include slower-than-expected growth in China and Japan, and potential spillover effects on the global economy of the Greek debt crisis, while the impending US interest rate hike may reverse capital flows to Asia, impacting all the five fastest-growing major economies. Note: Data are forecast. The red line depicts forecast annual real GDP growth for the global economy in 2015. India’s annual real GDP growth is expected to reach 7.3% in 2015 – higher than China’s forecast growth, as the initial phase of government efforts to unlock the country’s investment potential is lifting investor confidence. Policy reforms that the government has begun to implement aim to improve the business environment; liberalise foreign direct investment (FDI); boost both public and private investment in infrastructure; simplify taxation, and lower corporate taxes. Meanwhile, lower oil import prices in 2015 will raise household real disposable incomes and help drive down inflation as well as boosting exports. Notwithstanding the expected positive impact of policy reforms and low commodity prices, India’s accelerating growth is also in part due to changes in the methodology that the country’s total GDP and base year are calculated. India now measures GDP by market prices instead of factor costs (to take into account gross value addition in goods and services as well as indirect taxes) whilst the base year has been shifted from 2004-2005 to 2011-2012. Euromonitor economists consider that the new methodology better reflects the true composition of India’s GDP, but have reserved their judgement vis-à-vis the effect of this methodological change on India’s forecast growth. China’s real GDP growth fell to 7.4% in 2014 and is expected to fall further to 6.8% in 2015. Although this is still impressive in comparison to the annual real growth of 3.2% expected for the global economy, it is much more moderate than the average growth of 8.8% per year China achieved in the 2008-2014 period since the global financial crisis. Although Chinese annual GDP growth below 7.0% is widely expected as a “new normal” and considered to be more sustainable (because it does not rely on excesses in credit, fixed asset investment and government spending), significantly slower growth than currently projected for China would affect the rest of the Asia Pacific region and the world economy as a whole, due to the Chinese economy’s large size and deep trade and financial linkages with other nations. For China, the key challenges are to rebalance the economy and tap new sources of growth. In our ranking of forecast economic growth for major economies in 2015, Bangladesh is expected to make it to the third position with annual real GDP growth accelerating to 6.3% in 2015, up from 6.1% in 2014. The country’s trade reform and greater integration into the global economy will boost exports while continued healthy remittance inflows are expected to support consumer expenditure. However, violent political unrest, which is on-going since January 2015 (the anniversary of national elections that the opposition boycotted), and nationwide traffic blockades are seriously undermining the business environment, affecting private investments, hindering export activity, and adversely impacting growthprospects. Other challenges that impede Bangladesh’s economic growth include infrastructure bottlenecks, insufficient energy supply, rampant corruption, unequal income distribution and high poverty rates. Real GDP growth in the Philippines is expected to come in at 5.8% in 2015, below the 6.1% recorded in 2014. The weaker growth forecast for 2015 is primarily due to slowing activity in China (one of the Philippines’ key trade partners) and the impending rise in US interest rate which can reduce capital inflows into the Philippines. Nevertheless, the country’s annual real GDP growth prospect remains strong on an internationally comparative basis, driven robust consumer spending, rising government expenditure, and strong gains in private construction. Real consumer spending growth in the Philippines is set to accelerate to 5.4% year-on-year in 2015, up from 3.9% in 2014, on the back of growth in employment, low inflation, and higher inflows of remittances. Vietnam’s annual real GDP growth is forecast at 5.7% in 2015, down from 6.0% in 2014. The Vietnamese economy is vulnerable to slowing economic growth in China (its neighbour and key trading partner), although improved economic performance in the USA and other advanced markets will help to spur exports. Meanwhile, Vietnamese consumers are confident and also are benefiting from low oil prices. As a result, real consumer spending is set to grow by 9.2% in 2015 over a year earlier, the fastest growth rate in the Association of Southeast Asian Nations (ASEAN). FDI inflows will also be strong thanks to a shift of investors away from China and towards Vietnam, while regulatory changes that take effect in the second half of 2015 will potentially help to lift investment activity. An Hodgson joined Euromonitor International in 2006. She manages research into income and expenditure as well as industry, infrastructure and environment. Her strategic analysis helps businesses gain important insight into global, regional and key emerging market trends and thereby allowing them to make more informed commercial decisions. 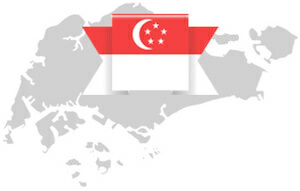 Learn about Singapore's biz grants.